"Godfather's Mercy - Pitye, Parenn! or Parenn Pran Pitye; plus Popular French, English, and Haitian Creole Phrases"provides you with the most popular basic phrases in French, English, and Haitian Creole. It also comes equipped with easy-to-use vocabulary in all three languages. 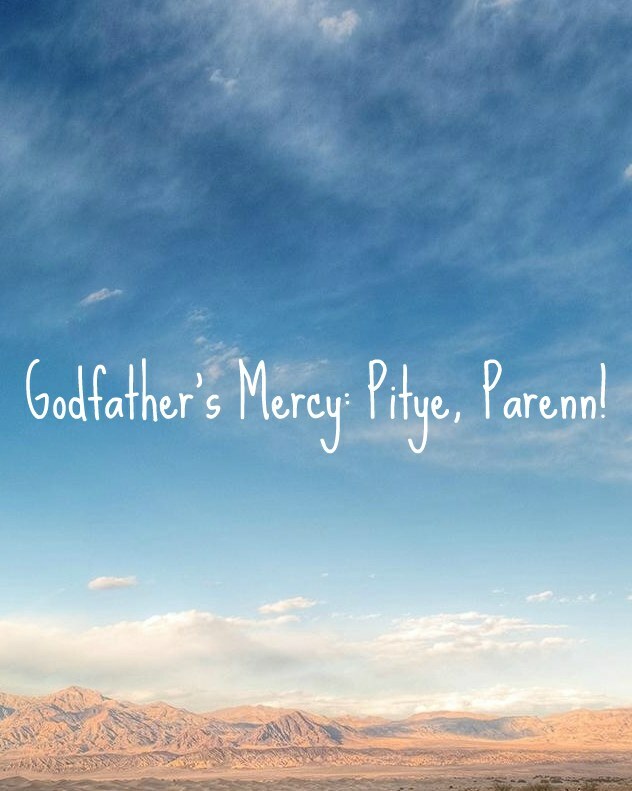 In addition, it presents Tijan's story and his godfather's mercy on him. Fatherless, 10-year-old Tijan decides to leave the treeless mountaintop where he lives with his always-drunk mother in search of an elusive education in crop-rich downtown Leogane, Haiti. Will Tijan reach his dream of learning how to read and write? Will her mother even realize that he went missing? Find out how His godfather, Mr. Bonifas, convinces his wife as he decides to offer to Tijan the same opportunities and access to education and a better life their own children enjoy. The text of this story is translated into English from Haitian Creole. Learn French, English, and Haitian Creole with this new booklet. Read the story of Tijan and his godfather, Mr. Bonifas!